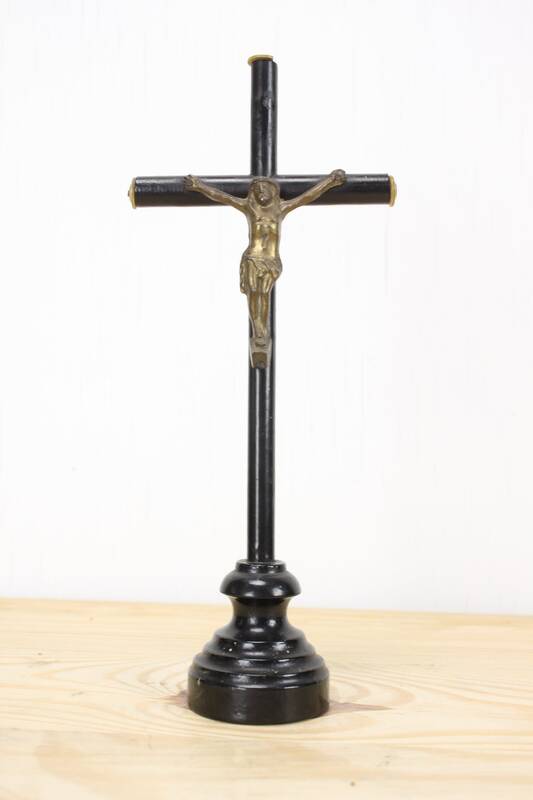 This beautiful altar crucifix is a fine example of early 20th century craftsmanship! 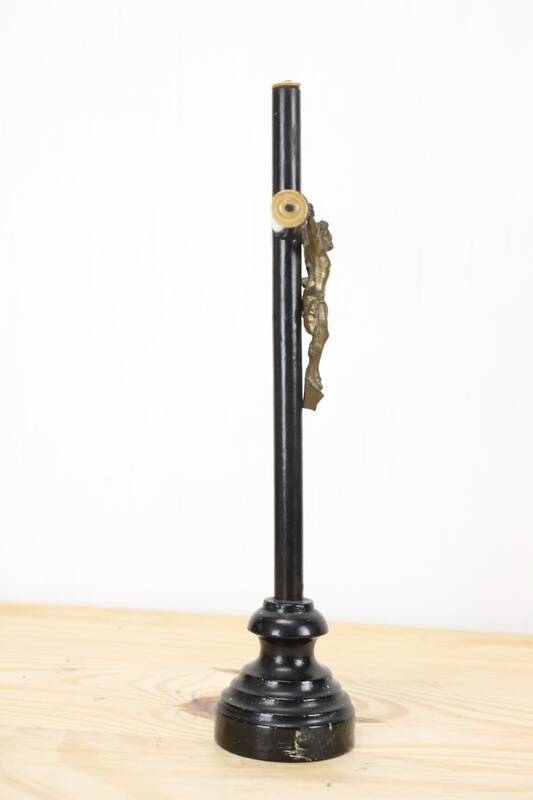 This piece was most likely produced some time around the turn of the 20th century - between 1900 & 1920. 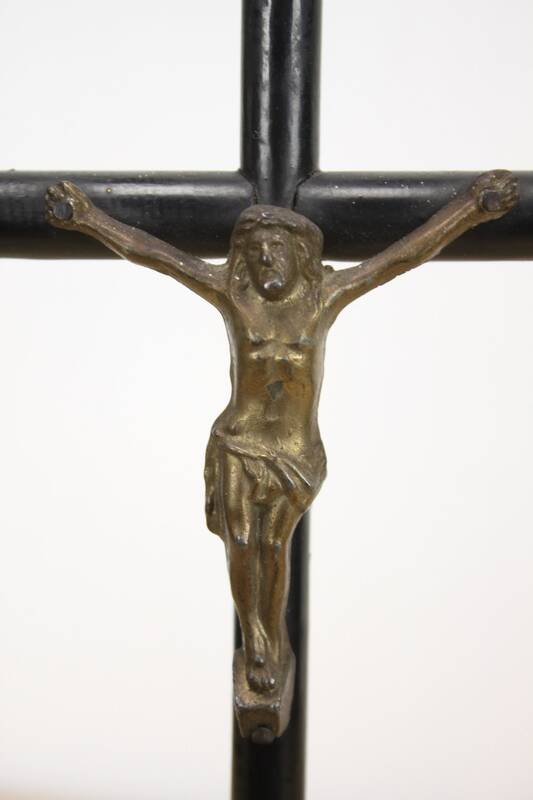 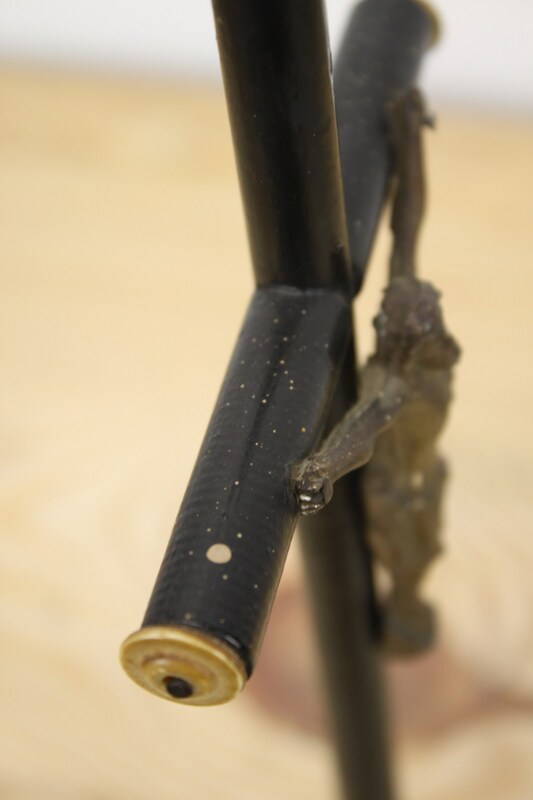 This piece is simple yet elegant in it construction - The corpus (figure of Jesus) is made from bronze colored, spelter and features wonderful detail and patina. 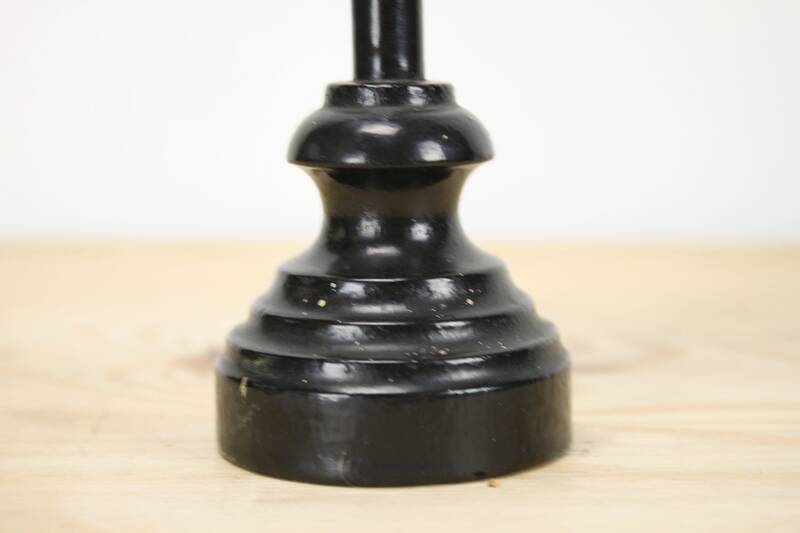 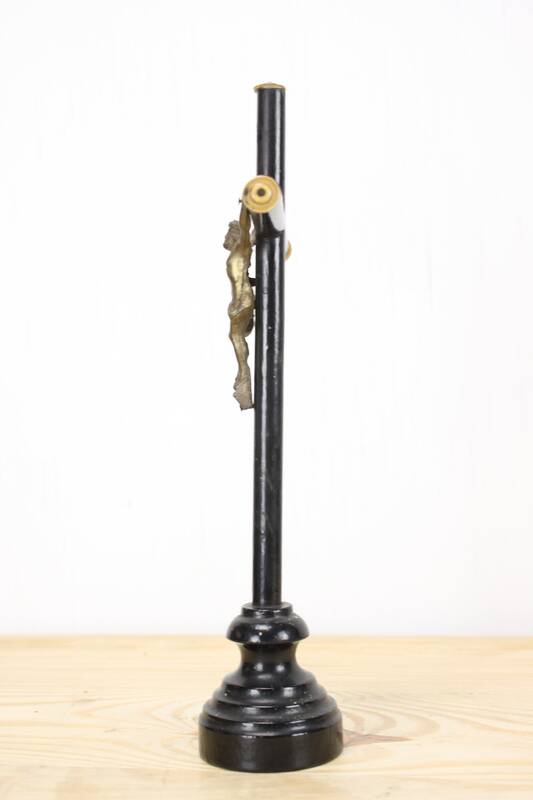 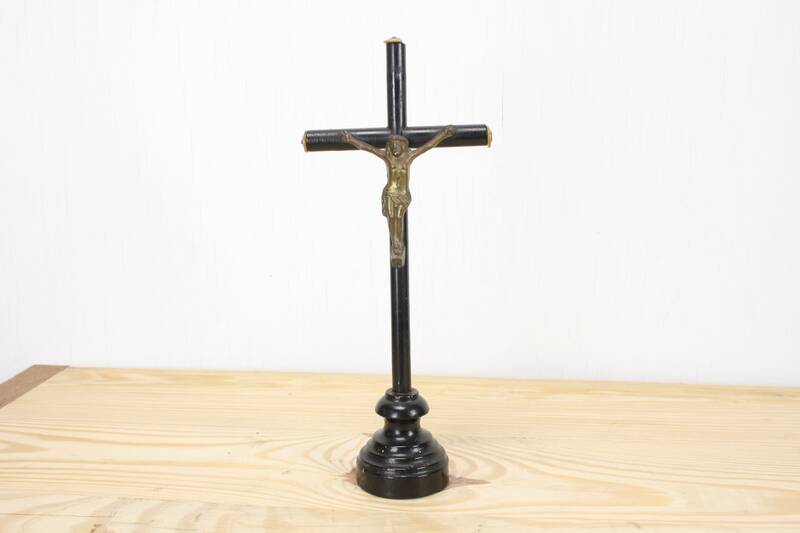 The cross and base are constructed from handcrafted mahogany and painted with a black lacquer. 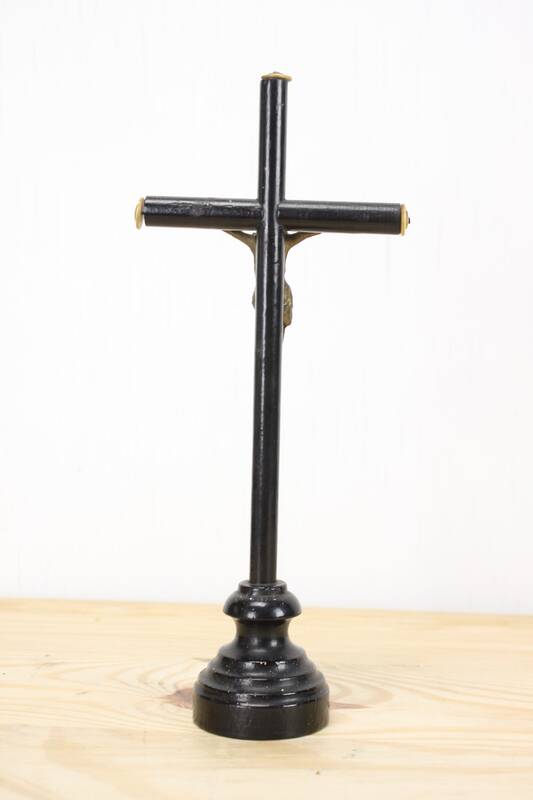 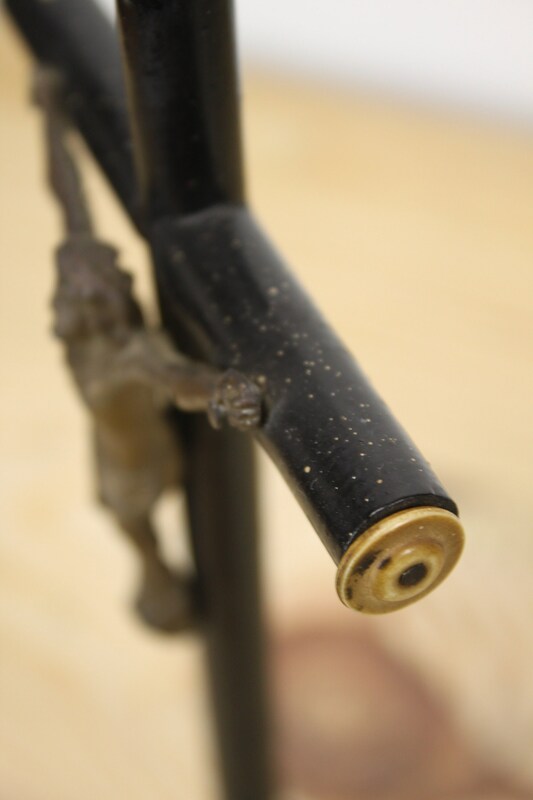 Each tip of the cross is capped with a carved piece of bone held on with a single nail. 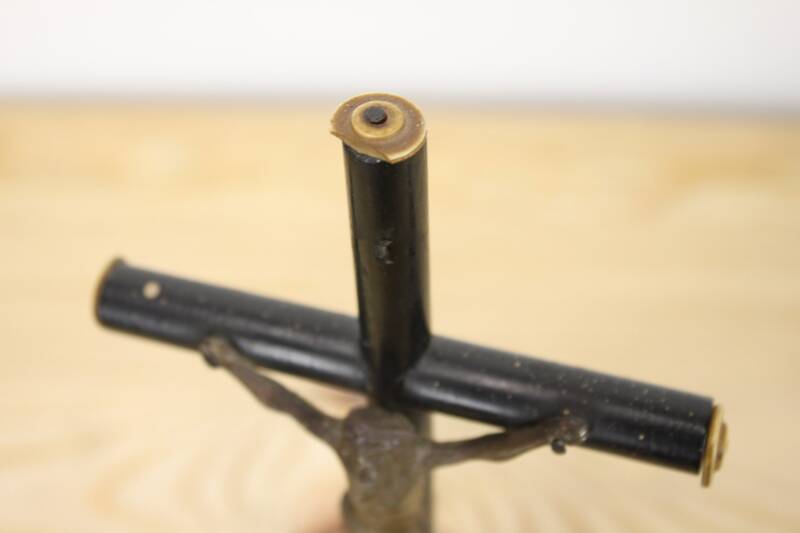 The cap on the top of the cross has a piece missing but this defect add more to the character of the piece than it take away!